Tunisia Davis: Former FBI agent drove up to NSA and CIA gates, made violent threats. 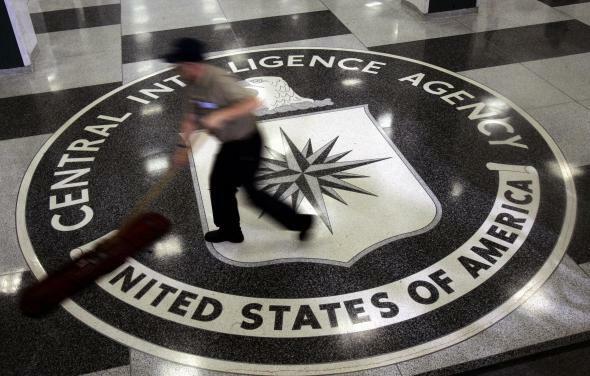 Former FBI agent Tunisia Davis is accused of threatening to bomb the CIA. A former FBI agent who was reportedly angry about Freddie Gray’s death in Baltimore has been ordered held for psychiatric evaluation after allegedly making threats at the headquarters of the CIA and grabbing for an officer’s gun when she was taken into custody, NBC4 reports. Tunisia Davis, who worked for the FBI from 2004 to 2010, was charged with assault on a police officer after her arrest but was not present for a hearing on Tuesday because she was uncooperative and the judge felt that “force would have been needed to get her from U.S. Marshall’s [sic] custody in Alexandria into the court room.” Davis will be held for at least 30 days in a federal psychiatric facility, CBS affiliate WUSA9 reports. An affidavit filed by CIA investigators said Tunisia Davis drove to the main gate of CIA headquarters Thursday afternoon and drove past an officer who tried to stop her. A second officer, court records show, had to physically stand in front of Davis’s vehicle to stop her. She was taken into custody. Shortly after, CIA investigators said, she reached toward an officer’s firearm. Davis’s landlord, Derek Delgadillo, told NBC4 that Davis “wanted to get arrested, and had referenced the arrest of Freddie Gray, who died in police custody in April,” and WUSA9 quotes CIA investigators as saying Davis had come to the CIA hoping to provoke officers there into attacking her. Delgadillo told NBC4 that Davis had promised to vacate her apartment in Alexandria, Virginia by April 30, the day of her arrest.